The Fifth North Carolina Workshop with Yuan Zhou was held May 6-8 in Raleigh, North Carolina. 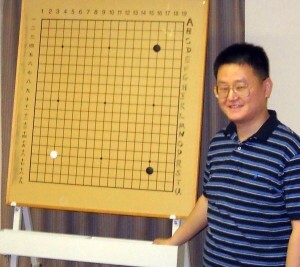 "Go is not just a simple game," said Yuan Zhou 7d. "It is deeply connected to the philosophy of life. That is one reason why parents want their children to learn go. It teaches values and decision making skills that are important." 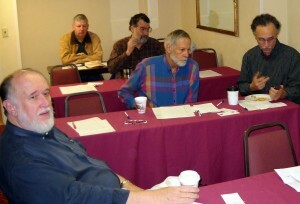 Fourteen people from the local clubs, Virginia, and Maryland participated in the three-day event. Zhou employed his characteristic combination of humor, philosophy, and rigorous game analysis to help elevate the games of players of all ranks, with particular emphasis on the need to understand the value and efficiency of each move. The workshop was sponsored by the Triangle Go Group of Durham, North Carolina.